The Huntington in San Marino, CA has big, bountiful gardens, classic american and european art, and a supremely impressive and world-class library, containing among other things, an original copy of the first scientific journal, ever, from the 1600’s. 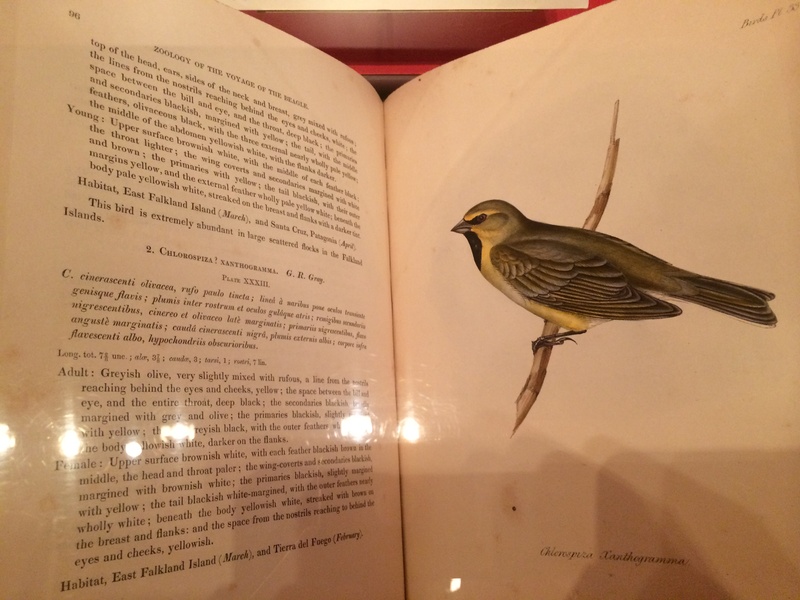 A wonderful permanent exhibit in the library, Beautiful Science, showcases, chronologically, many important historical documents/texts and instruments that were key to advancements in four fields: Astronomy, Natural History, Medicine, and Electricity. Within the Natural History section lies a most excellent, succinct historical primer on evolution. I snapped some photos, and for educational purposes, I am reprinting highlights below. Of course if you’re in LA, I recommend setting aside half-a-day to see the Huntington in person. Aristotle was opposed to evolutionary ideas, believing that animals and plants were eternal and would not change or become extinct because they were created in their ideal form. But he was also the father of the science of classification—which was to be a critical element in the development of evolutionary theory. This section of his work, de anima, is a major treatise by Aristotle on the nature of living things. His discussion centers on the kinds of souls possessed by different kinds of living things, distinguished by their different operations. Lamarck formulated the first comprehensive and systematic theory of evolution, which presented man as its perfect end product. He theorized that all life-forms changed and progressed to greater complexity and that an animal’s use or disuse of a particular physical trait would make it more or less likely to be passed along to its offspring. He replaced a static view of the world’s past with a dynamic one in which not only species but also the entire system and balance of nature were constantly in flux. 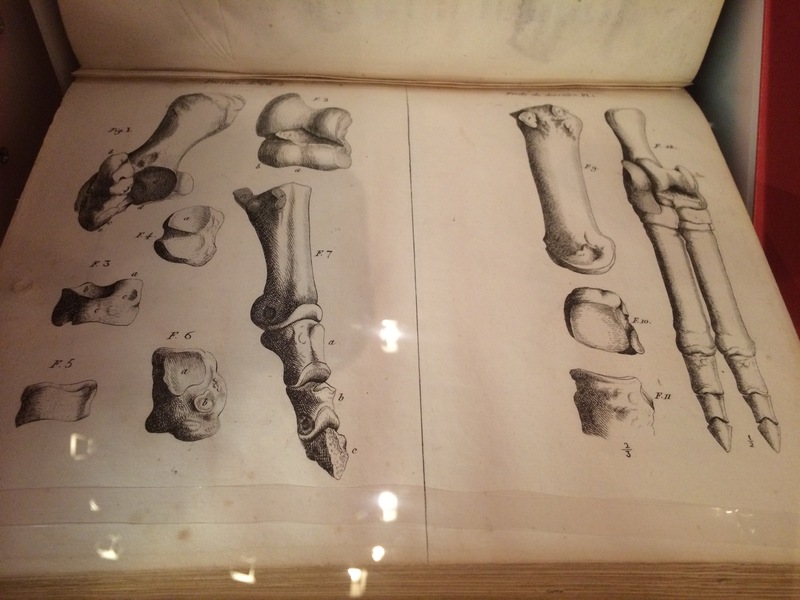 Cuvier was the founder of comparative anatomy and could identify many different animals from a single tooth or bone. He was soberly empirical in his study of fossils and reached a number of accurate conclusions about the relationships among different kinds of animals. His work identifying similarities among fossils helped evolutionists build a case for the descent of animal life from a common ancestor. During his five years on the HMS Beagle exploring South America and the Galapagos Islands, Darwin’s thinking about evolution changed. He was deeply influenced by the evidence of the specimens he observed and collected on the trip. The voyage turned a rather bookish young man fresh from the halls of Cambridge into a rugged, deeply knowledgeable, and worldly naturalist. 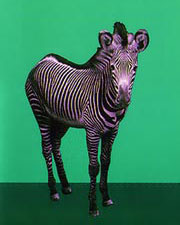 The drawing shown here was made by John Gould, a British artist and naturalist. Gould demonstrated that the finches Darwin collected on various islands in the Galapagos were 12 distinctly different species, all new to science. This jointly-authored paper was the first description in print of natural selection—a critical aspect of evolution. Darwin worked on his theory of evolution for decades but was nearly beaten to publication by Wallace, a fellow British naturalist who separately conceived of the idea. Wallace’s insight into evolution’s key properties came to him in a rush while he lay in bed in the grip of malarial fever in Malaysia thinking about Thomas Malthus’ idea of positive checks on human population growth. The beauty of Darwin’s work lay, ultimately, in both its originality and its persuasiveness to an often-hostile audience. 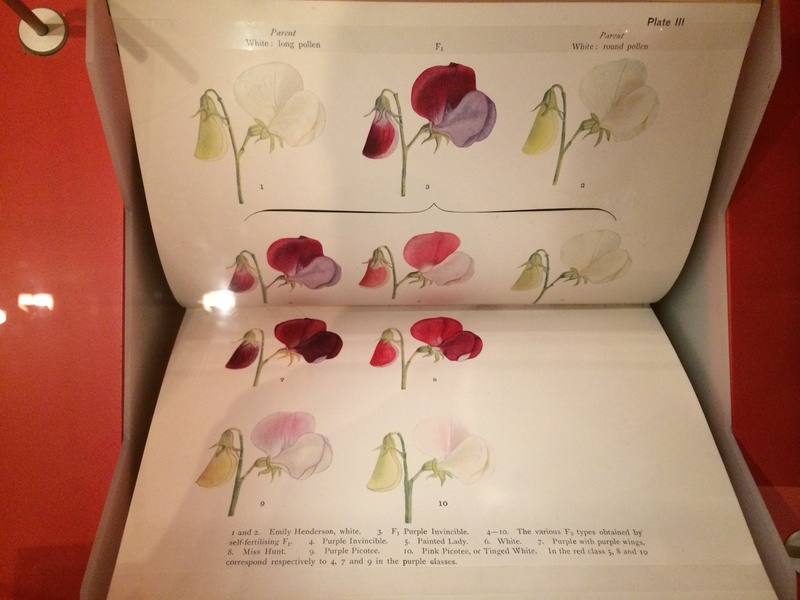 By crossing strains of peas to produce specific characteristics consistently (such as a wrinkled or smooth exterior), Mendel demonstrated that the inheritance of physical traits follows particular laws. First published in German in an obscure local natural history journal during Darwin’s lifetime, Mendel’s work was not widely accepted until the dawn of the 20th century. The principles that govern the inheritance of characteristics were not worked out in Darwin’s time. That process did not begin until 1900, when researchers rediscovered, reinterpreted, and extended the botanist Gregor Mendel’s earlier work on genetics. Biologist William Bateson was one of Mendel’s greatest supporters, and this book is a crackling, impassioned reply to skeptics of Medelian genetics. The peas illustrated here demonstrate Medelian principles of inherited characteristics. Along with researcher Rosalind Franklin, molecular biologists Watson and Crick jointly discovered the structure of deoxyribonucleic acid, or DNA, in 1953. This paper is the first announcement of their breakthrough. Identifying the structure of DNA was perhaps the most significant advance in biological research of the 20th century. From tracing the path of human evolution to helping curing diseases, our ability to analyze DNA has led to extraordinary scientific progress. Any others? Hey, first person to submit a comment below identifying all of my references and adding one good new one gets a free super-limited edition t-shirt. For reals! Collectively we cook it up in the lab; they package it up nice and then sell it back to us for a profit. An honest exchange? No, of course not, but that’s the game. Even what product of our own we could save cannot compete with all that nectar they sling, so we’re addicts.